As the largest member of the Acura model line, the MDX SUV has much in terms of expectations surrounding it. Drivers across the nation have grown to trust the MDX to provide the perfect mix of comfort and performance, something that it is happy to accommodate. 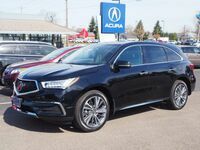 Its drive accented by an available Super-Handling All Wheel Drive™ system (SH-AWD®) and its interior lined with top tech innovations such as Premium Navigation and Two-Person Seat Memory, the 2019 Acura MDX certainly has much to offer. 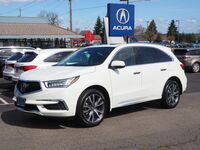 Our Acura of Salem sales team is proud to be able to bring the new 2019 MDX to you. Keep reading to learn more about its features and capabilities and see if it’s right for the needs that you and your family have as you take on the road, either for long road trips or the daily commute! *Based on SAE J1100 cargo volume measurement standard plus floor space between first and second seats and front seats moved forward. This figure compares more accurately with most competitive measurements. 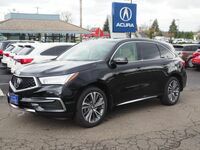 If you have any further questions about the 2019 Acura MDX and what it brings to the table, feel free to bring them to our team. We are always happy to lend you a helping hand no matter what you’d like to know!